Came into Saline via Lippincott last week. Several spots required some spotting and taking the right line. I think it has degraded since the last time I drove up it just over a year ago. Came in on March 23rd. Dry and in good condition after rains on 3/22. Went up Lippincott this morning to the racetrack Road is in good condition very passable. But yes you still need 4 wheel drive to go up Lippincott! We came down Lippincott on the 4th of December and I found it in much worse shape than I have ever seen it. Oddly enough I dissuaded a couple of folks from driving up it in their Subaru and 2 ladies who were trying to get to the Racetrack in their rental car. Kinda makes me wonder how many people are tempting fate by trying to drive up that when nobody is there to tell them about road conditions. Here's the narrowest section on the road, first weekend in November. This is an extended cab F150 4WD. Pretty much a rock crawl above this point, I wish I had taken some photos of that! It was definitely more difficult coming down than going up, just like climbing a mountain. I was very surprised by the large number of vehicles. We went down Lippincott Pass on the day after Thanksgiving on adventure bikes. 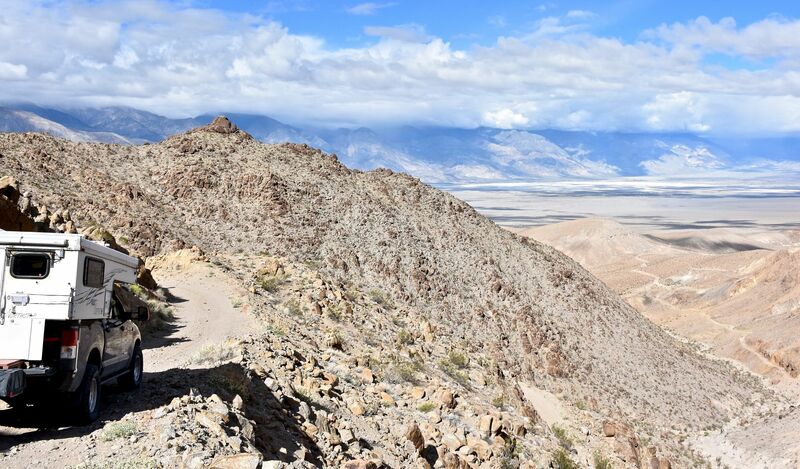 This is a steep, rocky descent that requires some experience. We have smaller bikes that are mainly dirt bikes and they did fine. We came on two larger adventure bikes that had dropped the bikes and were nervous. We gave them a pep talk and they made it ok. They said they were fairly new to off road riding. We saw several 4WD going up, one was a 1962 International Scout. They took their time and made it. Lippincott is in amazing condition, IMO. Best I've seen it, the lower valley floor is even graded smooth. We went thru in my Crewmax Tundra with Northstar camper. zero clearance issues. Heres the narrowest section. Hug the wall. Exposure is high, yes. Don't fall off. But the view is worth it. Entered the Valley via Lippincott on 2/26. Difficult coming down, but not impossible. 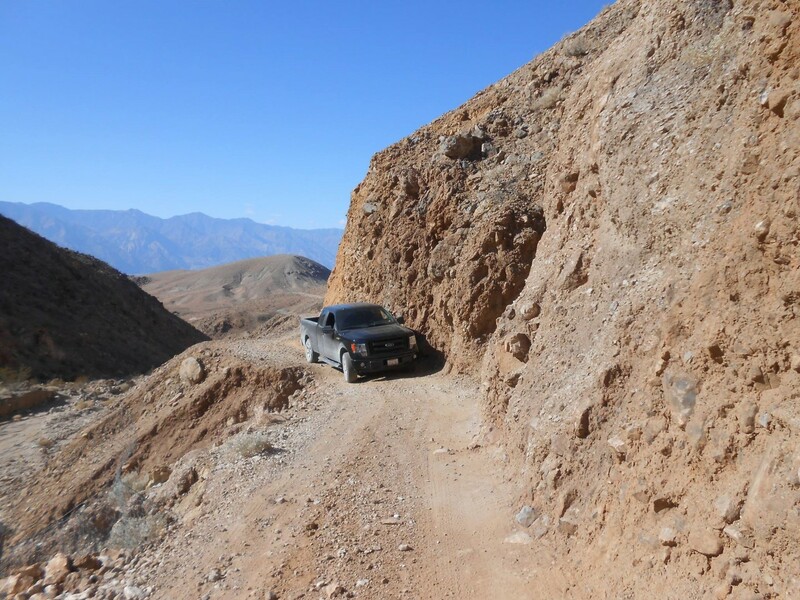 Washouts and fallen rocks are definitely hazards, but any experienced 4x4 driver could handle those. We took a rental Jeep Compass down the pass, but it got a flat. We were able to finish the pass with a doughnut. I would recommend any high clearance vehicle (shorter wheelbase is better) with strong off-road tires and a full-size spare. Left the valley via Lippincott on 2/20. The canyon is a bit rough going up and a short wheelbase is definitely helpful. 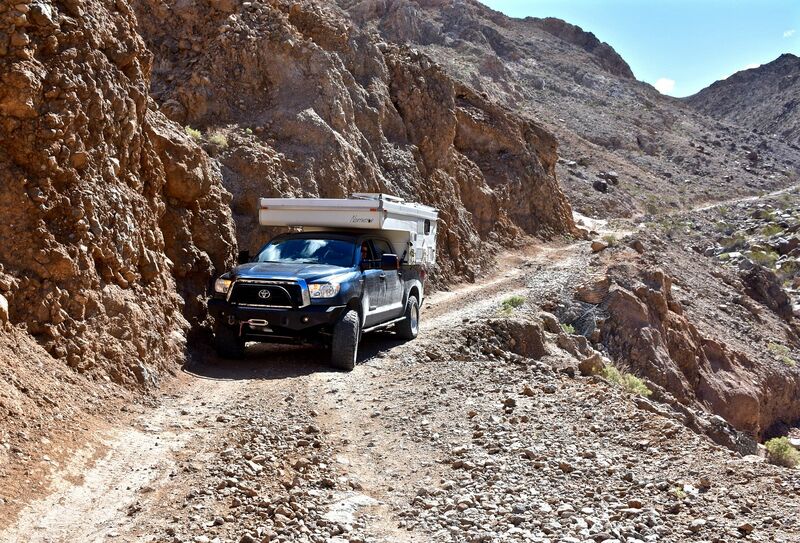 It is narrow and there's one slide that a high center of gravity vehicle might have issues with (like a camper). The recent rains had caused a few wash-outs and rock falls. I would be hesitant taking a long wheelbase vehicle through. I had no issues in a relatively stock 80s Land Cruiser. That was our group you encountered. The Dodge was driven by one of our club members, Tyler. I was the very tall guy driving the white FJ Cruiser. I'm glad to hear you made it up safe and sound. Here's a video that I took of the entire descent down Lippincott. You make an appearance in it! General info on Steel Pass, Lippincott, Hunter Mountain, and part of South Pass. Anecdotal info on the North Pass and Grapevine section of South Pass. Ten of us went in on the 20th and came out on the 23rd. For reference we were mostly in Rubicon JK's, LandCruiser 70's and 80's and my little Samurai. Most of us were experieinced but we had several newbies who did just fine. We even had a stock Durango make it over Steel Pass but that was probably luck. It took a lot of spotting and rock piling. A little lift and proper gearing would have helped a lot with him. Roads are generally in good shape. We went in over Steel Pass. No problems. It is more technical than the other roads but is lower. No snow. No mud/ There are the tights spots around some boulders on the descent and the four steps at the beginning to navigate but the road is pretty much as it was two years ago. Steel Pass road becomes somewhat hard to follow as it gets close to the springs. Hard rains a few years ago really scrambled the boulder fields. 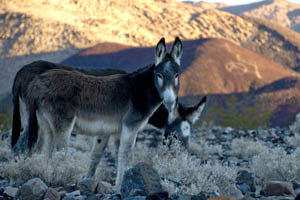 Be careful to watch for cairns and other markings. We went out the Lippincott and through Teakettle Junction to Hunter Mountain. Hunter mountain had snow and large mud puddles. No one got stuck but I would be careful since it would ice up if done early morning or after dark. We went out at sunset and it was clearly starting to get really cold on the summit. We joined onto South road and headed out and stayed at the Boxcar camp. Some of the party went out the North Pass with no issues reported. One of them was a stock Durango. He did it after dark so perhaps th deep mud had firmed up. In any event he posted no warnings and got out fine. We did not do the Grapevine section of the south pass but no issues were reported by other drivers. The valley floor is typical. some areas of washboards but otherwise fast moving. Please post any up to date information on the Lippincot Road in this thread. Anything older than 30 days will be subject to deletion as we go along.